Xiaomi M365 Electric Scooter comes with a mobile app that utilizes password-protected Bluetooth communication, allowing its riders to securely interact with their scooters remotely for multiple features like changing password, enabling the anti-theft system, cruise-control, eco mode, updating the scooter’s firmware, and viewing other real-time riding statistics. “During our research, we determined the password is not being used properly as part of the authentication process with the scooter and that all commands can be executed without the password,” Rani Idan, researcher with Zimperium zLabs, explains in a report shared with The Hacker News. 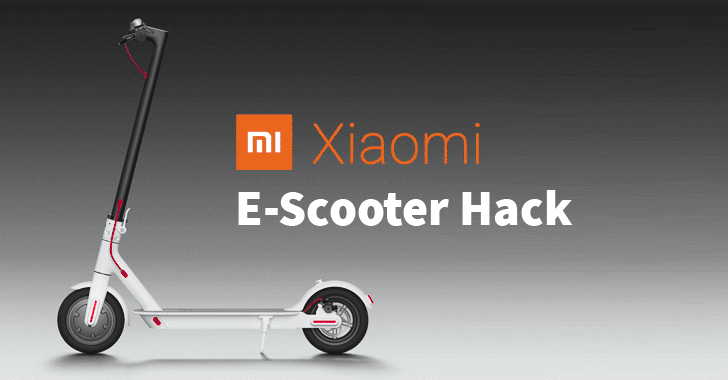 To demonstrate one of the attack scenarios, as shown in the video, researchers developed a specialized proof-of-concept (PoC) app that scans for nearby Xiaomi M365 scooters and locks them by using the anti-theft feature of the scooter, without authentication or victim’s knowledge. “The app sends a crafted payload using the correct byte sequence to issue a command that will lock any nearby scooter in the distance of up to 100 meters away,” the researchers say.